Worn flywheels are usually accompanied with increased noise levels, particularly during engine start up and when the engine is switched off and increased levels of vibration/harshness. One side effect, mainly affecting Ford and Vauxhall vehicles is the accumulation of iron filings that are produced as the flywheel wears and this can cause premature starter motor failure. In our experience and as a rule of thumb, the dual mass flywheel of diesel engined vehicles should always be replaced at the same time as the clutch, on petrol engined cars more often than not they can be re-used, obviously there are exceptions to the rule, eg Mini Cooper S and Golf Turbos. 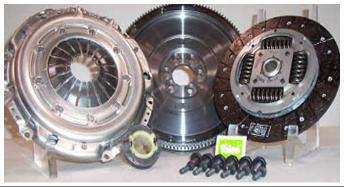 Valeo have created a range of flywheel conversion kits for some of the most popular models that replace the Dual Mass Flywheel with a Conventional single mass flywheel and a sprung clutch plate, which means that subsequent clutch replacements are much cheaper which makes them ideal for Taxi’s, vans and other high mileage vehicles. 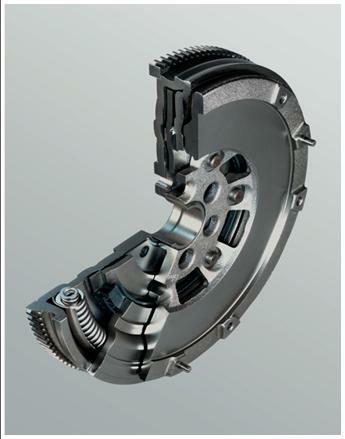 The drawbacks are, an increased level of noise and vibration in comparison to a dual mass setup and increased wear on the gearbox syncromesh as they now have to cope with the increased weight of the sprung clutch plate.